Nestle began producing Quality Street chocolates in 1936. 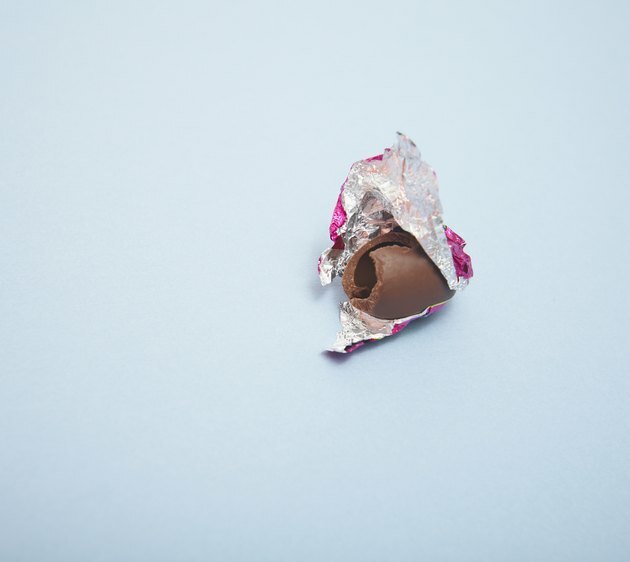 There are 132 calories in three Quality Street sweets, according to Nestle. According to Nestle, three Quality Street chocolates provide 132 calories, 1g of protein and 19g of carbohydrate, 16.1g of which comes from sugar. You also consume 5.8g of fat, 3.2g of which is saturated fat, and 0.4g of fiber. A box of Quality Street chocolates include toffee fingers, the purple one, toffee pennies, the green triangle, caramel swirls, milk chocolate blocks, coconut éclairs, toffee deluxes, orange crunches, strawberry creams, orange creams and vanilla fudge. Nestle also produce full-size versions of the green triangle, the purple one and the caramel swirl. The full-sized green triangle contains 187 calories, the large purple one contains 190 calories and the large caramel swirl contains 186 calories. How Many Calories Are in Werther's Original Candy?